The U.S. Department of labor has recently launched a mobile app that delivers the latest labor data and news straight to a user’s smartphone. From the unemployment rate to average hourly earnings, users can get up-to-date government news releases and figures delivered courtesy of the Department of Labor and its Employment and Training Administration. 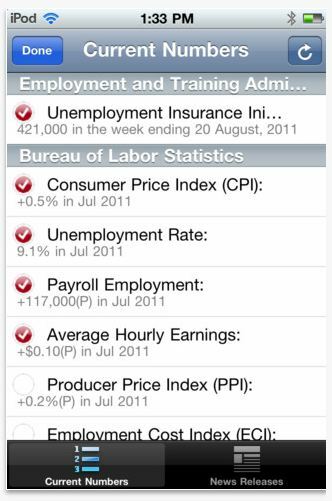 The app is free and easy to use – instantly displaying real-time updates to the unemployment rate, Unemployment Insurance initial claims, the Consumer Price Index, payroll employment, average hourly earnings, the Producer Price Index, the Employment Cost Index, productivity, the U.S. Import Price Index and the U.S. Export Price Index. Breaking news releases are also included to help users understand as well as contextualize data and trends. The D.O.L. news and labor app is currently available for iPhone, iPod Touch and Android phones. Versions for other mobile devices, including, BlackBerry and iPad, are currently in development. Interested users can click here to download this free app.